In this intense workshop of serious fun, students will study wearable and collapsible structures and explore unique ways to tell stories by cutting paper. Masking and revealing is essential to storytelling and will be playfully explored to take the artist book on the wild side. This workshop is tailored to each individual, so projects are different for each class. Through multiple small projects, students will learn techniques in black and white, color collage, pop-ups, wearables and stencils that can then be applied to create a final project. 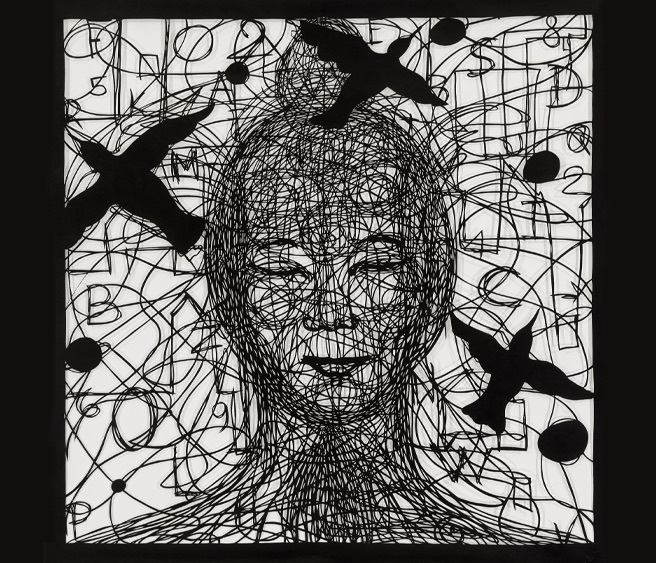 For the last 20 years, Béatrice has been exploring visual storytelling in artist books, paper cutting and public art. She stages narrative allegories in silhouette to create a dialogue with the viewer in playfulfantasies. She enjoys sharing her experience to help others find their creative voice. Her work has been purchased by major museum collections, such as the Metropolitan Museum of Art, The Walker Art Center and The Getty. Her public art can be seen in subways, airports and sports facilities, among others.